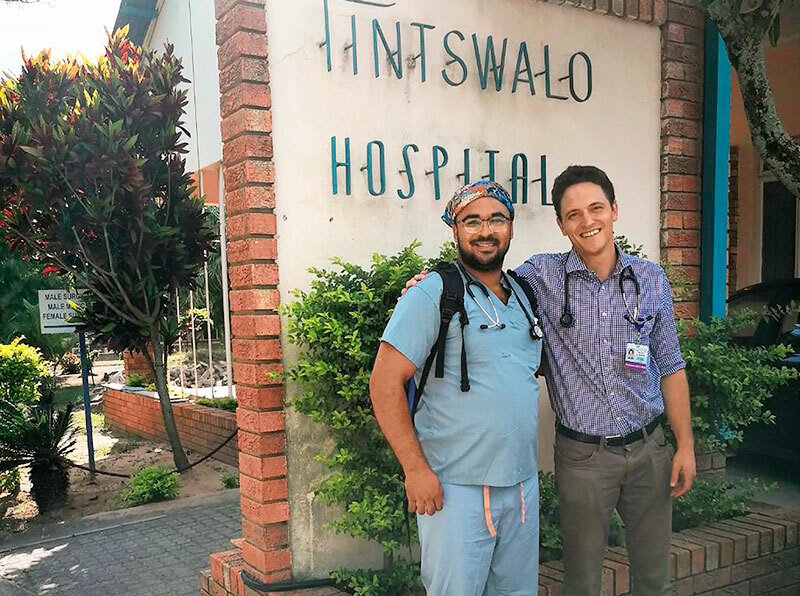 Dr. Mikail Amir Gurland (left), a community service doctor at Tintswalo Hospital, and Dr. Lao-Tzu Allan-Blitz in front of the hospital in rural South Africa. 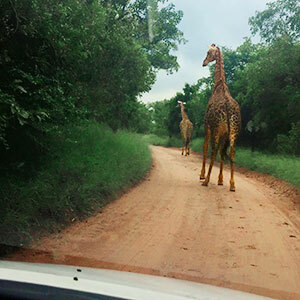 I TRAVELED TO RURAL SOUTH AFRICA TO WORK IN A DISTRICT HOSPITAL, NOT TO STUDY POLITICS. But politics were inescapable. The president, Jacob Zuma, had just been pushed out of power, and Cyril Ramaphosa had taken his place. Everyone was talking. For the most part, the feeling among those orienting me to the hospital was one of guarded optimism; the corruption and inequalities perpetuated under Zuma may now finally abate, but how much could Ramaphosa do when surrounded by systemic corruption? 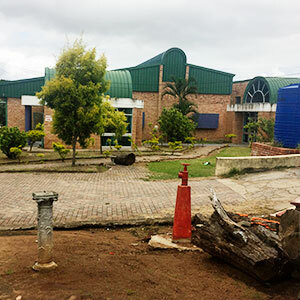 That feeling was mirrored within the microcosm of Tintswalo Hospital, where a new CEO had recently taken the reins after years of corruption and neglect. 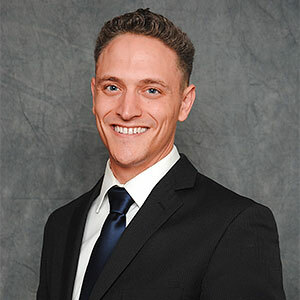 For years before, many of the hospital’s physicians would come to work just long enough to be visible and then leave to work in their private practices, receiving both the salary from the hospital and the more lucrative income from their clinics. That left the wards grossly understaffed and patients unattended. The impact of that absenteeism still was being felt when I arrived. On my second day, I walked into the tuberculosis ward, where a nurse immediately greeted me: “Oh good. I’m glad you are here. The doctor has not been here in a week, and we have patients who need you to see them.” That raised an interesting ethical dilemma. As a fourth-year medical student with a modicum of medical knowledge and a wealth of inexperience, how much could I actually help? And would I cause harm in trying? There were a few doctors in the hospital who worked themselves to the bone to make up for the absence of the others, and that made things a little easier for me. Three junior doctors who were doing their year of mandatory community service — comservs — poured their hearts and souls into their patients but often had to assess priorities and make choices that at times left some patients overlooked. In one instance, an elderly woman in her 80s was lying in a bed moaning, her head rolling back and forth. The chicken scratch on her chart had done little more than note findings of dementia and ascites (fluid accumulating in her abdomen) without any comments toward a diagnosis. Her vital signs were stable, and her abdomen was impressively distended. Her belly did not appear to be tender when I pressed, but fluid like that can easily become infected, and an infection won’t always be painful. An infection can also cause a change in mentation. I asked one of the comservs what he thought. “Eh, bru, she’s always in laike this,” he said. “Just give ‘er some Ceffy” — ceftriaxone, an antibiotic. I suggested we drain the fluid to alleviate some discomfort and test for an infection. He said he didn’t have time to do it. But I did, and I was eager to perform the procedure. I’d done a couple during my training, so I had a general sense of what I was doing. But it was different in Tintswalo. At home, we use an ultrasound to make sure that the bowel is far away in order to minimize the risk of perforation. At home, we use an elaborate kit with many components, a specific needle with a protective sheath, specialized tubing and dedicated receptacles. And all of the components are entirely sterile. In Tintswalo, they use any needle they can find, any tubing that they can connect to it and a bucket. I found an angiocatheter — used normally to start intravenous lines — and some tubing. I cut off one end of the tubing so it would drain freely and was able to connect the other to the catheter. There was a mop bucket in the corner that I moved to the side of the bed. I cleaned the woman’s abdomen and slipped in the needle. Straw-colored fluid siphoned through the tubing. I was proud of myself — for a moment. Then I realized the tubing wasn’t long enough to reach the bucket on the floor. Left hanging, it would splash peritoneal fluid across the ground and over my shoes. I couldn’t put the bucket on the bed because it would be at the same height as the patient and wouldn’t drain. So, I held the bucket slightly below the level of the bed with one hand and the tube with my other hand. 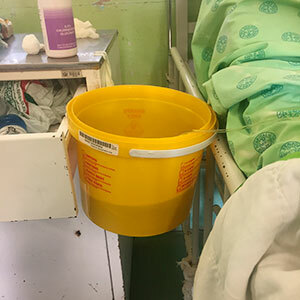 I had other patients to see and didn’t have time to stand there holding the bucket as it collected fluid. Also, the bucket was getting heavy. I managed to balance the bucket with its lip resting between the railing of the bed and a small table that stood just below the level of the mattress. A few minutes later, the comserv came by and gave a nod of approval, chuckling when he saw the bucket. We checked to make sure we weren’t taking off too much fluid and causing other problems; then he noticed something on the other side of the bed. He reached across to see what it was, and in doing so bumped the bed. The bucket dropped with a thud, sending up a wave of straw-colored fluid. The conserv was standing between me and the bucket and took the brunt of the flood, but we both were splashed. It was gross, but we were laughing as we replaced the bucket. The following day, the laboratory tests came back positive for Mycobacterium tuberculosis. We put her on four antibiotics, and, suddenly, this elderly woman who had been on the edge of death had a chance for a cure. We realized that her previously assumed dementia may have been due to poorly managed intestinal tuberculosis that was never properly treated or to some other complications of tuberculosis. 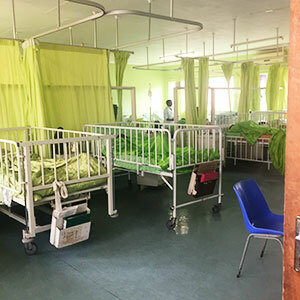 Without treatment, the woman likely would have remained in that hospital bed, confused and dying from a serious but treatable infection because the commodity of time had, as a consequence of the corruption that left wards poorly attended, become too precious. We witnessed many other stories with far worse outcomes. To those who lived that reality every day, such stories seemed to be another drop in a precarious bucket, one that was balanced between the tragedies of the past and the hope of change, either from a new and empowered president, a young and uncorrupted CEO or a comserv working endless hours on the wards. I left Tintswalo with the heaviness that comes from witnessing tragedies that would be preventable in different contexts. But I was hopeful that what was coming would be better.